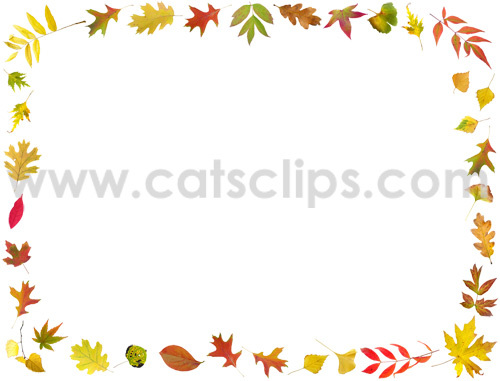 Colorful autumn leaves swirl in a rectangle border. This fall frame would be perfect for a dinner party invitation or menu. Transparent or white background. Image is a PNG on a transparent background.